Home › Blog › Cornerstone › Real Estate business in the Philippines: Has it reached its full potential? Real Estate business in the Philippines: Has it reached its full potential? When you’re asked to name a few real estate company, you can probably name a few but these are the “big fish” as they say. But as a humble one trying to swim in this small pond, can you really go full blast and still expect good results in return? When Marc-Olivier Caillot (or just Marco) started a property listing company 5 years ago, he encountered several bottlenecks just to properly close a sale. From how he had to wait 2 days just to get a quote from the property he’s interested to buy up to dealing with several departments just to submit all the documents needed. It was a nightmare indeed but it was also the birth of a system that will help every real estate developers reach its full potential: a locally developed and maintained real estate management system, Cornerstone. “We want to digitally disrupt an industry that has yet to realize it’s full capability. We want them to achieve this by realizing what’s needed now and how to act on it effectively.” says Marco. In a time when almost everything has an app version, it’s surprising to know that Cornerstone is the only Enterprise Resource Planning (ERP) tool specifically targeted to the real estate industry. The system was cleverly designed to be intuitive and that every department are all connected in one platform. From sales to purchasing, to construction, and up to accounting, it’s a sure way for you to manage the business, even if you this remotely! Cornerstone is the first cloud-based real estate management system catered to the Philippine market and is powered by Forward Solutions Inc. It is a locally developed and maintained enterprise resource planning tool targeted to real estate developers and companies. 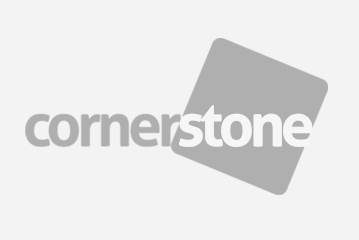 To know more about Cornerstone, please visit their website: www.cornerstone.ph or call 02 584 6592 to schedule a demo. Your real estate business struggles end with Cornerstone! Why Hire A Real Estate Appraiser?